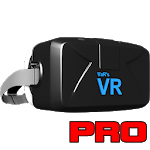 The PRO version of VaR's VR Player, the ultimate VR player with full control and all modes to get the most immersive virtual reality experience. - Head tracking for all devices, with or without gyroscope, with real time response. - All video modes supported, enjoy any video with your virtual reality headset. 2D or 3D, 180º or 360º, side by side, over under or play like a regular video player with the No VR mode. - Full control, all parameters you need with an easy to use UI. Eye distance, lens correction, field of view, vertical position, brightness, saturation or aspect ratio among many others. - Streaming. Take advantage of the new built-in network browser with support for SMB and UPNP or enter any HTTP url. - VR Controls, enable in the settings screen to adjust all settings with your vision in an immersive way. Even supported in Static modes with the auto-lock feature. 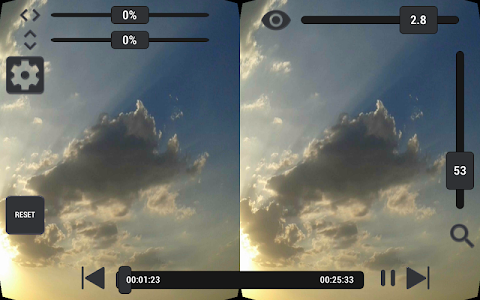 - Image viewer with support for normal and stereoscopic pictures. - Subtitles in .srt format and multiple audio tracks. - Improved the Enter URL function. 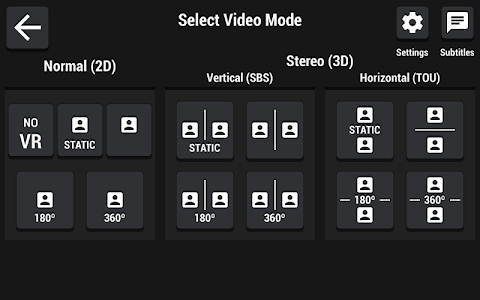 - Individual settings for each video with autosave. 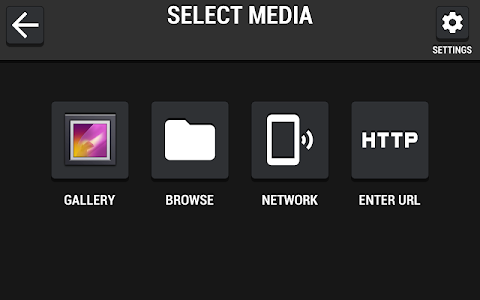 - Improved Gallery access function with. - Added temporal center bar for a better device positioning. Similar to "VaR's VR Player PRO"